Chelsea sighed, standing up. His question made her smirk, she was tempted to say yes. if only.. she thought narrowing her eyes at the male. She wasn't usually good at holding grudges against one, but now it seemed almost easy. She really had changed, perhaps for the the worst. Lowering her eyes, the female glared at the floor. "No you should not because that'd be dumb. I don't think we can afford the death of another so soon." she said with no emotion. 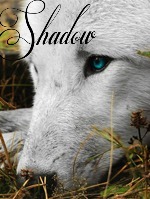 Chelsea lifted her gaze back to the wolf, keeping her pale blue eyes on him. It took everything to stay calm, and not rip him to shreds.. if she even could. She was much smaller than him and doubted she'd even survive 3 minutes against him. "Anyways, no babysitting right? You won't go jumping off of cliffs either?" she joked lightly hoping to enlighten the mood. The large brute stared at the smaller female, mystified. Who wouldn't want him to die after the pain and loss which came as a curse where ever he went had landed a hard blow here? He turned his muzzle aside to look down the cliff. Why would she care if he died, and jumped down the cliff? His gaze snapped back to the female as she replied, her voice light and joking. He gaped at her. She was joking with him now? He scoffed. He would have smiled, but he didn't remember how to smile. "No, no babysitting." he stretched out leisurely, for once in his life, he felt melancholy. "Ah...Sky diving might just sooth my problems, hmm?" He replied smoothly.
. In a way.. you just need to lighten up." she snapped nipping at his paw. She glared at him, her mood immiediatly changing. "So go ahead jump, see what good it'll do anybody." she added turning her head to walk off. 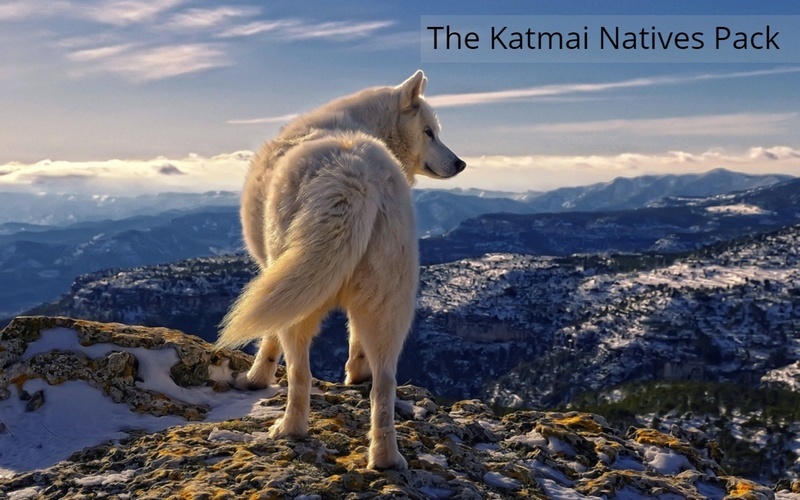 "Or.. you can go explore the territory and get to know the pack. We have to move on, nothing is going to take back what you did, and it would just be a waste of time going over your past. So just move on.." she said, but froze. The female thought back to her parents.. her sister was the one who had spoken this to her. Chelsea shook her head angrily. "So what's it going to be?" she said looking back towards the loner. Chemical gawked at the small white fae, his mind whirling. He lurched back at the sharp reprimand, his eyes widening with astonishment. He felt his conscious burning with guilt at the thought of killing himself. Having been chastised by a smaller wolf, he stood completely still, musing about the strange impact this female was having on his skewed mind. "What's your name?" he asked, not answering his question in the slightest. "I'm Chemical, and I'll save you of the introduction." he grunted, then added. "You don't wanna hear it, so don't ask." She sat narrowing her eyes at him., her tail flicking occasionally. Chelsea sighed as she heard his questions and such. "My name?! I will not tell you my name until you get out of your mopey self." she smirked satisfied with her answer. "And no I did not care to know your name!" she snapped glaring at him. The female held a serious face, but then begun to laugh. "I'm Chelsea, n-nice to meet you Chemical." she said struggling with the word "nice". "So you never answered my question. " Chelsea added staring at Chemical. All the anger she had seemed to fade, which was a good sign. It made her feel like her own self again. And it felt nice to talk to someone after a long time of being alone. Well not really alone.. okay it was just nice to converse with another pack mate. Pack mate? Was he even in the pack yet? Chelsea thought chuckling to herself. "I'm pretty good" still starying at the ivory coated fae as she seemed not to be happy still. Arrow himself knew how that felt "here come with me, im pretty sure Amethyst would love to see you again. And theres something i wanna show you... well someone." Walking away down the snow melting hill with Shadow right behind him did he stop off fast to rip off one massive chunk of meat for his mate. Walking back to Shadow to walk to the den, trying his hardist erge to not eat and chew on the tender juicey flap of flesh. Walking into the den quietly seting down the flesh by his mates paws "sorry it took so long, i got destracted for a few mins." He said in a hushed whisper. He took a fast glance over his shoulder to see in Shad was comeing inside seeing her ivory pelt gleam in the tinted darkness did he know he was followed. "Well heres the someone i wanted you to see nudging the pup on the rump to push him to Amethyst belly and to point him out to Shadow. "How does he look? He's a big boy he will be a good use in a Pranice, but that's all up to him to choose." He said in a whisper to not wake the pupster from his milky slumber. Looking down on him with his mystious icy green eyes with pride, love, protection for the young pup, Boulder. Siting protectivly next to his mate and son but not blocking Shadow's view of the young pupster. Waiting for the fae's reply. Amethyst lay quietly with her tail wrapped around her pup. She then opened her eyes and looked around. It was very light outside and it made its way into the den entrance. Amethyst gave a long yawn, showing her sharp teeth. The sky was a very light blue and it looked like a peaceful day. A few moments later, she heard two wolves talking in the distance. One of them was her mate, the other voice came from her good friend, Shadow. She smiled, as she saw that Arrow had brought her more food. That's what she had longed for quite some time. She smiled at her mate and ate the chunk of meat that was placed in front of her paws. She also looked at Shadow who was admiring the pup that was asleep nursing. "He's cute, right?" she asked the female fae. She licked Arrow many times on his cheek, saying that it was alright. Boulder continued to nurse himself to sleep. He finally got some more of this tasty stuff since his mother got something to eat. His breathing was slow and deep. Meaning that he was probably in a very deep sleep. Moving his paws and putting light pressure on his mothers stomach, he helped the milk get into him. Everyone admired this cute pup. He was indeed one of the cutest pups. The fae's ears angled toward the russet tone wolf as he spoke his mate's name. It had been awhile since Shadow last saw the grey dappled femmora and wondered if she was healthy. 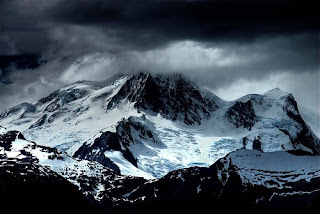 Remaining planted by the abyss leading into the darkness they called home and relied on for shelter, the ivory tinted fae's glacial optics rested on the brute as he padded toward the carcass laying untouched and out in the open. Averting her gaze upward, the fae's orbs lingered on the cloudy sky, observing the few dark silhouettes of birds circling above. Enticed by the carcass, the birds circled, watching and waiting for the opportunity to strike down and claim what was theirs, but there was also the risk of predators noticing the birds, or scenting the carcass. Lowering her muzzle back down to watch Arrow returning, Shadow made a quick note to hide the carcass later once the pack has had a chance to tear into its warm meat. Leisurely padding after the russet wolf into the darkness the femmora hesitated in the archway, her ears strained forward hearing Arrow's faint whisper. Permitting herself a few precious moments to adjust to the gloom, the fae steered her paws in the direction of the two frames. Drawing closer, a small figure stood out amongst the resting femmora's grey fur, the figure was small but alive, happily clinging to it's mother. A soft smile rested upon the fae's maw as she recalled her previous conversations with Amethyst, like a faint memory, the name Boulder echoed in her thoughts. "He's adorable," the fae commented, her voice a soft whisper not to startle the young pup. "Congratulations you two," Shadow added, her optics softening as she looked between the proud pair. "I'm sure he'll grow strongly and bring about some mischief into the pack." Settling back onto her hunches a few strides away from the pair, the fae could see Arrow's tense, protective stance over his mate. As she looked upon the young pup, the ivory hued femmora could not help but wonder where the young pup Yoki had scampered off to. "Did you give him a name?" The fae asked, tearing herself away from her thoughts, she knew they had the name Boulder picked out but knowing the two, they could have toyed around with names. Amethyst smiled as she listened to her friends comment about Boulder. "Thanks. Very much appreciated. I too see Boulder as a very strong wolf in the future to come. I kind of see him as a Jeager, knowing that he might be able to kill an elk just like that". She flicked an ear and the tip of her tail a little bit. She then looked upon her mate again, who was in the presence of protecting her. She gave a sigh as she allowed herself to become very comfortable for a few moments. Boulder awake from his deep sleep moments later. He squirmed around a little and gave a few whines. He felt as his mother licked him softly, calming him down. He continued to stay latched on, eating as much as he needed to grow up big and strong. Dark's eyes opened slowly as he began to wake up. He looked around tiredly and yawned, his teeth baring as he did so. He stood up and stretched, his claws sinking into the ground as he did so. Dark suddenly felt the craving for a fight and rolled his eyes, laughing quietly to himself. "Of course... I knew that fight with the bear wouldn't have satisfied me... oh well... might as well find something else to do..." he said with another yawn as he began to pad about. Luna returns once more from a long trip. she plans to stay for good this time unless things change in the future. She is glad to be back and does a long howl. she wanted to see her friends and talk for a while and maybe go for a hunt. Dark's torn ear flicked at a howl and sniffed the air, the scent seemed to be of the pack, so he ignored it and padded on. His red eyes scanned the place as he continued to patrol the area. He yawned loudly as he grumbled quietly to himself, "So... I wonder what actually happens here a lot, is it normally peaceful?" Dark asked himself. He suddenly remembered one of the best fights he once had, it was with a Yeti. He looked around quickly, "Actually... this seems like the right habitat for a Yeti to live in..." he stopped when he caught what looked like a cave from the corner of his eye, up in a mountain. Dark smirked, "There... thats where a Yeti would live in... if I see anyone of the pack I know, I'll ask them..." he yawned as he continued to pad on. Cinder walks towards the den from the river and she stood still smelling something new, the pup! She tip toes quietly to the den without going inside, remembering mom's rule. Cinder sits quietly guarding the den until she feels like hunting. Amethyst lay quietly inside the Koti den, deep where her very spot was. Her pup continued to nurse off of her. She licked it very gently, soft, light strokes down from its small head, all the way down to its tail. Boulder was only a few days old. He still needed the nutrients from the milk. Amethyst felt hungry again. She wondered why she was always hungry. Wanting more and more food so she could continue making more milk for Boulder's needs. A scent came into the den, which made the mother worry. A low growl game deep within her throat and she bared her teeth. But then she realized that the scent she had smelled was one that she had smelled before. It was the female loner called: Cinder. She allowed herself to relax as she noticed that the pitch black female was just protecting the den from any Preditors or wolves that could do harm to one another. What wolf would want to do that? Amethyst sighed as she looked at her pup again. She couldn't leave the den exactly because, as a mother, she had to keep watch of Boulder. She knew that he was going to be a handful when he grows up a little. Her tail wrapped around the small pup and she kept it warm, for she knew that it could be a little cold outside. She layed her head onto the ground and stared into the distance, letting her mind drift, slipping into a light trance. Boulder slept for quite some time. He then woke up and whined. He nursed off of his mother's stomach and allowed the warm milk to soothe his needs. His eyes were still closed and so were his ears. He had many many weeks to get through before he could see or hear. He soon fell back asleep. Falling deeper and deeper, until he was soon in a deep sleep again. Cinder yawns as the rests her head her on legs. After five minutes, she saw two young cougars. Cinder gets up, bristles her fur and growls ferociously at the two young cougars. She chases them until they went out of the territory. She looks for signs of the mother or any other predators before going back to the den. Cinder turns and walks back to the den to guard. The quivering image of an albino she wolf with a star birth mark wavered in Ken's cranium. The thick gushing crimson liquid slowly covered the feminine snowy canine. "Ihana?" echoed a deep voice. The image of Ihana flashed away to another picture of a white wolf but this time with loving amber eyes and no birth mark of a star... Sharon. The figure of a medium sized taupe hue male stood there frozen, his heart beating uncontrollably in his chest. Before Kendrick could react, he woke up breathing hard, inhaling and exhaling, his eyes wide. The canine Lead Proti scanned the den, no one was near him. Shaking his pelt back and forth, Ken slowly rise from his slumber and stretched out his tight columns. Ken now in his default composure, stared out of the den entrance, nostrils flaring from the scent of another wolf(Cinder Fire). Ken didn't sense any threat from the canine so he slightly relaxed himself. He slowly exited the den, stopping near the female(Cinder Fire), giving her a nod and a respecting smile. Turning his focus straight ahead, Ken suddenly felt his energy drain. The male had a soothing rest but why was he suddenly tired and bummed out? He surveyed the terra, his emerald oculars narrowed, the atmosphere of the territory wasn't cheery. Shaking his head Ken sighed, "Where is Ihana?" Luna smells kenny near the den but also others. she really wanted to tackle kenny. she wondered carefully up to the den and peaked inside. there was no one inside so she had her chance. backed up and ran hard. THUD!! was the sound when she tackled him hard. "Ya miss me?" She asked him with a wide grin. The large white and green brute was sitting idly. His eyes showing no expression, his muscles loose and relaxed. His mind was empty, no thought entering or leaving him. He was just sitting, staring at nothing. But he, for once it seemed, was perfectly content. His depression was subdued, and he had to wonder why. But he had done that already. During his last sleepless night, he thought of the reasonable answers for this sudden rise in his spirit. But he couldn't think of any except for his new acquaintance. 'Chelsea' he thought. Thinking of her reminded him of his own humiliation, of being reprimanded by a small female. He smirked. Suddenly he heard shuffling from inside the member's den. He turned, to see a male step out. From the haunted look in his eyes, he knew something was wrong. Something inside him told him to run. Run! Run as far away as possible! "Ihana? Is she a small white wolf?" he blurted, hoping after it was the wrong answer. Kendrick eyes gleamed when he heard someone say his daughter's name. Ken turned to whoever the voice was and saw a white male with green designs with Chelsea. "Yes, that's my daughter. Have you by any chance seen her around here somewhere?" While waiting for the strangers response, Ken's ears flicked to a noise behind him and he was suddenly tackled by a huge white figure with glowing blue eyes. At first Ken thought it was his daughter, but quickly realized it was his close friend Luna. "Lu?!" barked Ken. The female noticed Jen Ken wide eyed, and quickly tried to stop Chemical from saying anything further. Chelsea didn't know how Kenny would react to the news of Nana's death, and she didn't want to risk it.. shaking her head she slowly walked over to where they were and sat down a distance from them. Her tail wrapped around her paws as she watched Luna tackle Kenny. Clearing her throat she waited until she had their attention. "Um.. Kenny, Ihana died.. " she couldn't explain how though. Chem would have to do that. Chemical swallowed, then choked. His throat had tightened and he couldn't swallow anymore. He groaned inwardly. His depression and hopelessness flooding back, he hunched his large robust shoulders. His head down in despair, he mumbled a few inaudible words. He watched the male get tackled by a small female, and he considered the thought of running away while the male was distracted. But he saw himself in a flash, tormented by guilt and the blood of a wolf on his paws. Seeing Chelsea slide forward and reply to the male that the small female was dead, he felt suddenly comforted by a friend's presence that he took a deep breath, mustering up the courage to say. "Was she your...Mate?" he mumbled shakily. Then he added. "She's dead...I...I..." He swallowed. Luna sudden got off kenny when she heard the news and was embarrased at her bad timing. She knew she had missed much but was sad she didnt see ihana before she died. Ken was happy that his friend was back and glad that she hadn't ran away from the pack. A huge grin was briefly plastered on his face from joy but vanished when suddenly a tragic response came out from two canines mouth. "Ihana..dead? Not..true..their joking..right?" thought the confused Kendrick. Ken gazed at the two wolves, Chelsea having a serious expression and the male who had guilt written all over his face. ""I killed her." "I killed her." "I killed her." "I killed her. the males words echoed in his head. Rage suddenly filled Ken's head, hatred, disgust, sadness boiled in the Proti's body. He slowly rise from the ground, his emerald eyes burning with a desire to punish the canine that had taken the life of his one and only child. Kendrick began to slowly walk towards the male wolf, a visible frown shown on his impressive face. "You, killed my daughter. You. Who exactly are.. YOU?" snarled the Proti male. Kenny's pelt bristled up, and his claws retracted from his pads, both his tassels and ears were raised, the anguish green eyes peer directly into Chelsea's friend. Seeing the anger in Kenny's eyes and the guilt in Chemicals, luna stepped in between them though she didnt want to cause any harm. "now kenny think before you act, please. this is bad but at least calm down before you cause injury." she said hoping there wont be a fight but when it comes to deaths anything can happen.